HOW DO I PAY FOR TECHNOLOGY? You’ve have a fantastic idea for a tech initiative with the potential to transform the way your students learn. You’ve got the moral support from teachers, staff, the school board, and the community. Now you need financial support. But funding your program isn’t simple—it requires you and everyone else involved in your program to commit to the entire process. Finding extra change (and lots of it) to pay for a new tech program in your district can be a big roadblock. But it doesn’t have to be. There are funding sources in your area! Simply search our EdTech grants database to get started. You've got that fantastic ed tech idea, support from your team, and now you need the funding. Download this guide to discover best practices for everything from finding a grant to sustaining the program after those funds have been used. Through foundations, federal or state agencies and even local businesses, money is available. discover grants listed by state, or even those which are open to everyone nationally, to help you secure money for your tech programs. 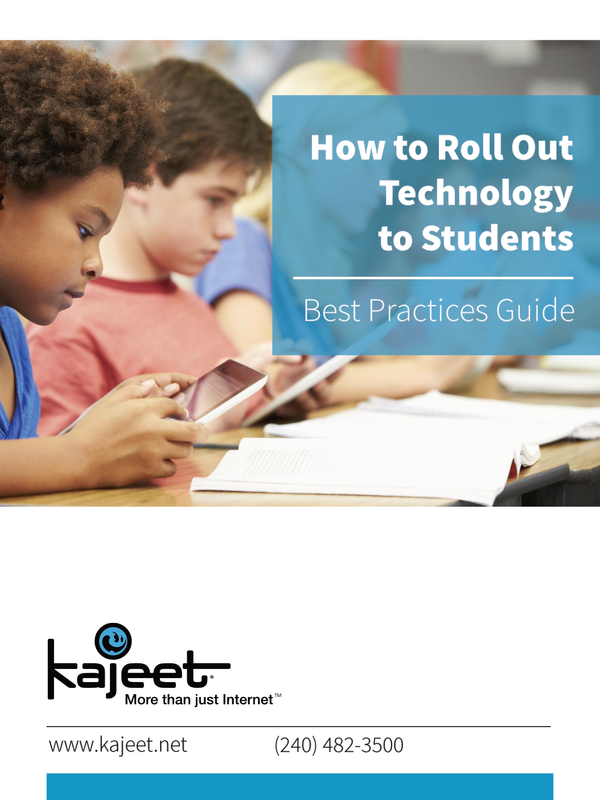 The Raytown School District in Missouri piloted a six-month, six-bus pilot with the Kajeet SmartBus™ solution. With filtered Wi-Fi access provided to almost 200 kids per bus every day, Raytown saw immediate results including a 45% decrease in bus disciplinary referrals! Need Help Funding Your Connectivity Solution? There are a number of federal and state funding mechanisms that can be used to purchase our connectivity solutions. To get started, complete the form and a Kajeet representative will reach out to understand your connectivity needs and help identify possible funding solutions.